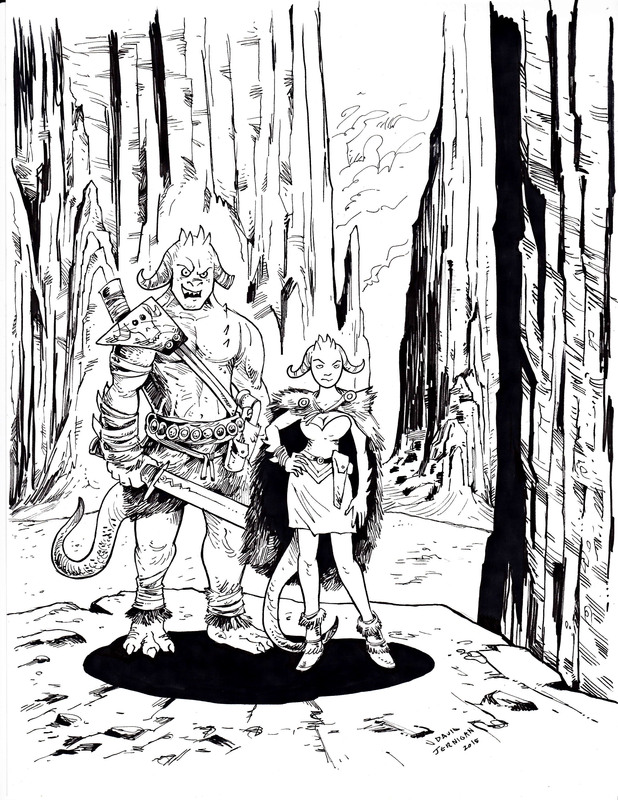 I learned a better way to color black and white line art in Photoshop from watching a tutorial. Once the illustration was done, I used the watercolor filter on the image to help darken the blacks and unite the colors. I still could fix a few areas, but the illustration is acceptable. I’m more content with the black and white drawing… maybe I’ll come around to this flat coloring process. 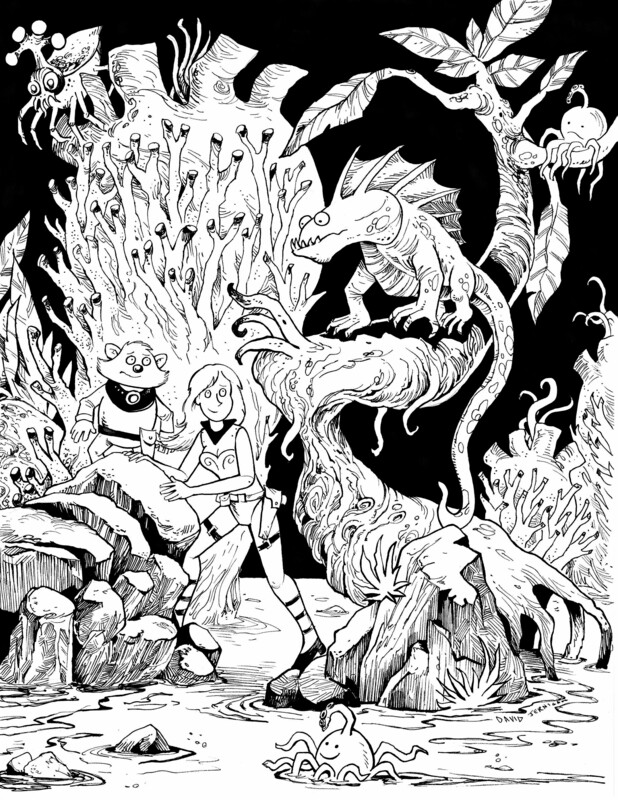 I learned enough from this illustration and it should look better the next time I try the process. The two characters are some of my comic book characters. I think they did Cookie Monster in and are wearing his fur! 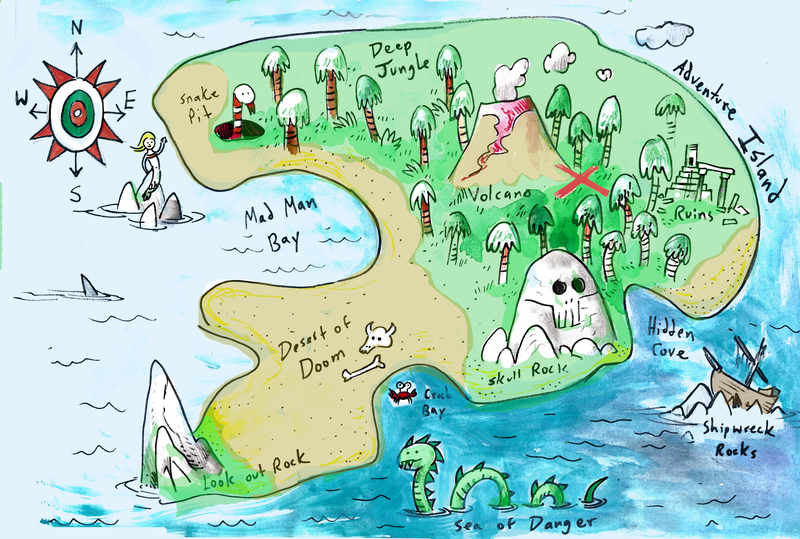 This is a quick example of a treasure map I created for a project I’m working on with second graders. It is a rough drawing; I would like to make a more complex and complete drawing at some point. The mysterious island genre has always captured my imagination. Daniel Defoe’s Robinson Crusoe and Jules Verne’s Mysterious Island launched an entire genre centered around people finding themselves marooned on dangerous islands. In those stories the characters ultimately make the best of their situation and eventually escape. Having a map would have made an extended stay on those dangerous islands much more pleasant. 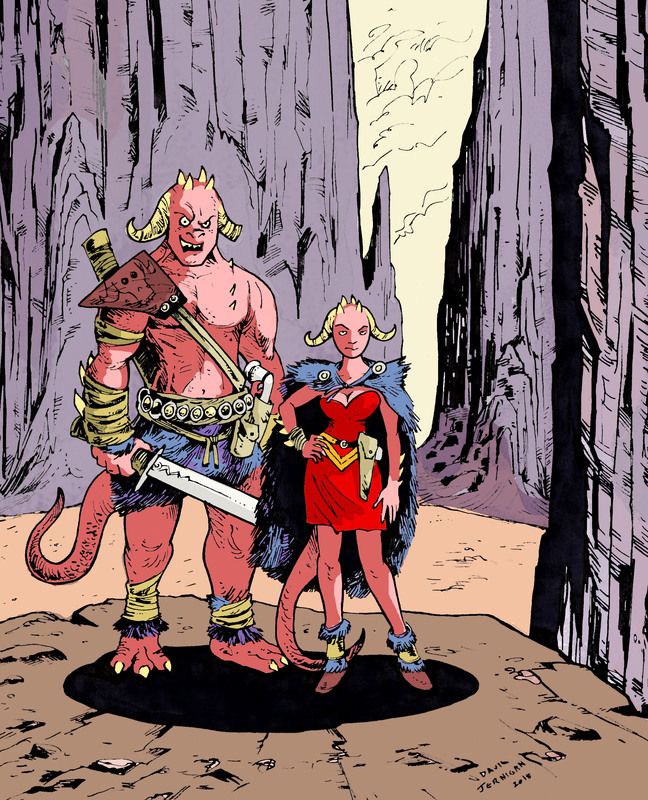 Here is an illustration of two of my comic book characters on a distant planet. Astronomers think it is very likely that every single star in our Milky Way galaxy has at least one planet orbiting around it. The absolute enormity of the universe makes it likely that life must exist somewhere in our galaxy. I enjoyed creating some extra-solar plants and animals for my illustration.